This highly visible 53-foot mobile unit will expand Tri-C’s outreach to industry throughout an eight county footprint. Tri-C’s Manufacturing Technology Center of Excellence builds upon the long history and strength of manufacturing in Northeast Ohio. Tri-C remains cognizant of the need for trained professionals in the region’s manufacturing sector and continues to expand its efforts to provide customized training solutions. This custom designed mobile training unit offers an innovative approach to increasing access to training throughout Northeast Ohio, addressing the skills gap in the manufacturing industry. It creates a quality learning environment for students and instructors that travels to requested locations throughout Northeast Ohio. The mobile training unit was created as a response to the community. It will provide members of our community with new skills, giving them the foundation to obtain a skilled job in manufacturing with sustaining wages and benefits. It is also designed to provide demand-driven training at client sites, help to retain employees, and keep businesses competitive through skills upgrade and process improvements for incumbent workers. Tri-C will also reach out to secondary and post-secondary education institutions to train tomorrow’s workforce and address the talent pipeline needs of the region. 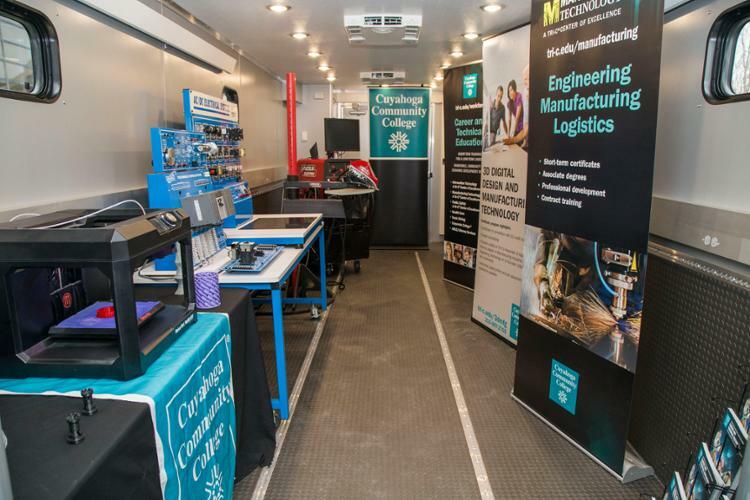 In addition, the Tri-C mobile unit will travel throughout Northeast Ohio to generate interest and promote the field of manufacturing at various community events, trade fairs, and schools in our region. Modular classrooms are becoming a popular alternative to traditional site-built construction. The 53ft mobile classroom contains a hands-on lab and classroom with instructor station and seating for ten students with one station accessible for students with disabilities. 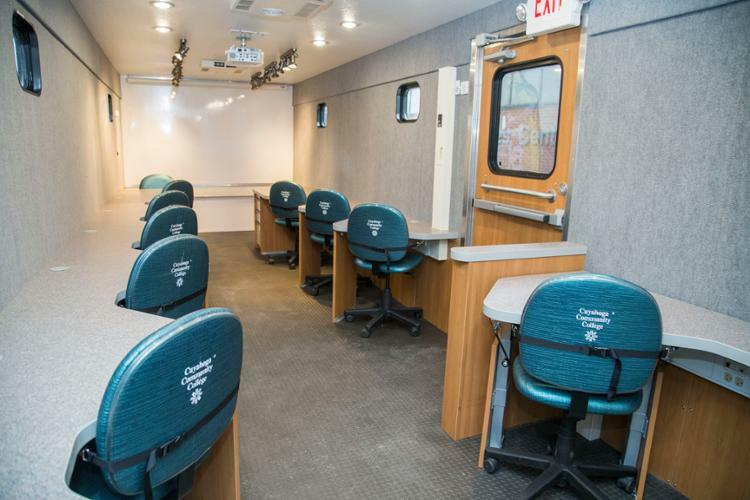 The Tri-C mobile unit lab can be tailored to accommodate multiple training classes through its unique “plug and play” feature, allowing a variety of training units to be connected. Can be tailored to accommodate multiple training options, many other programs are under consideration for the future. Contains instructor station and seating for ten students with one station accessible for students with disabilities.